Former Military Administrator of the old Oyo and Ondo States and chieftain of the All Progressives Congress, APC, Colonel Ahmed Usman (Rtd.) has declared his intention to contest the next governorship election in Kogi State, Our Kogi State Correspondent reports. Addressing his kinsmen, families, friends, teeming loyalists and supporters at his country home in Okura Olafiya in the eastern flank of Kogi State, Usman said his decision to join the race was informed by the current sufferings of the people in the State arising from bad leadership. According to him, "the deplorable state of infrastructure and squalor in the land, if allowed to continue unabated, would lead to total collapse of the system thereby jeopardizing the future of the people of the state as well as our children yet unborn". He further pointed out that he decided to bell the cat, by throwing his hat into the ring to "save the people of the state from this agony and squalor", adding that they cannot fold their arms and watch their people to continue to suffer untold hardships. According to the APC stalwart, "the State is blessed with abundant human and material resources, if fully utilized, can take the State to enviable heights, assuring the people that under his leadership they would witness accelerated development. He stressed that as a highly trained military officer of the infantry corps of the Nigerian Army, he would use his wealth of experience and exposure to mobilize the state for development if given the mandate, promising to run a transparent government. 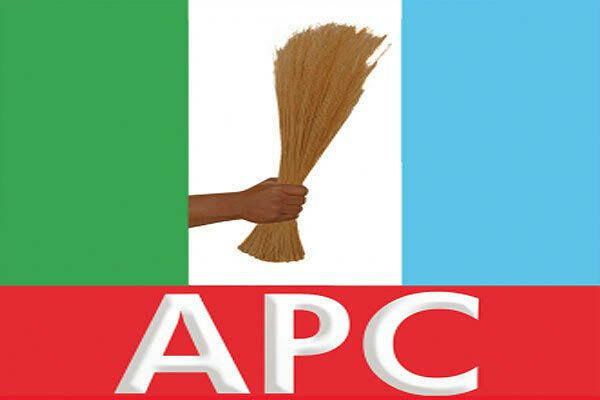 Usman enjoins the foundation members of the All Progressives Congress, APC in the State not to "abandon the ship for whatever reasons", urging them to remain in the party to salvage the situation together, for the common good of the people. While calling on the well meaning people of the state to support his rescue mission for the overall progress of the state, the retired military officer expressed confidence that they would not only pick the ticket of the party, but would lead it to victory in next year's governorship election.